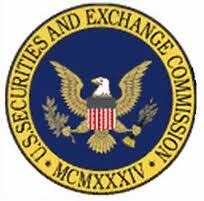 The Securities and Exchange Commission today announced the agenda for a meeting of its Advisory Committee on Small and Emerging Companies on Wednesday, May 1. The Advisory Committee will hear presentations from Robert Greifeld, Chief Executive Officer of NASDAQ OMX Group, William R. Hambrecht, Chairman and Chief Executive Officer of WR Hambrecht + Co., and Duncan L. Niederauer, Chief Executive Officer of NYSE Euronext. The presentations and the discussions are expected to cover a wide array of issues regarding small and emerging companies, such as capital formation, securities trading, and research and offering communications. The Advisory Committee meeting will begin at 9:30 a.m. in the multi-purpose room at the SEC’s Washington, D.C., headquarters. The meeting is not private, and therefore can be attended by those who wish to do so. The event also will be webcast live on the SEC website and will be archived for later viewing. Members of the public who wish to provide their views on the matters to be considered by the Advisory Committee may submit comments electronically or on paper and subsequently, information that is submitted will become part of the public record of the meeting. 11:15 a.m. Presentation by and discussion with William R. Hambrecht, Chairman and Chief Executive Officer, WR Hambrecht + Co.